"I like juxtaposing really soft feminine pieces with more masculine edgier pieces. And I like putting young and old pieces together. Like this cameo is my Grandmother's, it's over a hundred years old and I got this sweater last week." I like how Meg puts together an outfit that is mostly modern, yet looks good on her, still has personal touches and fits well. An outfit that fits well might be the most important thing ever. 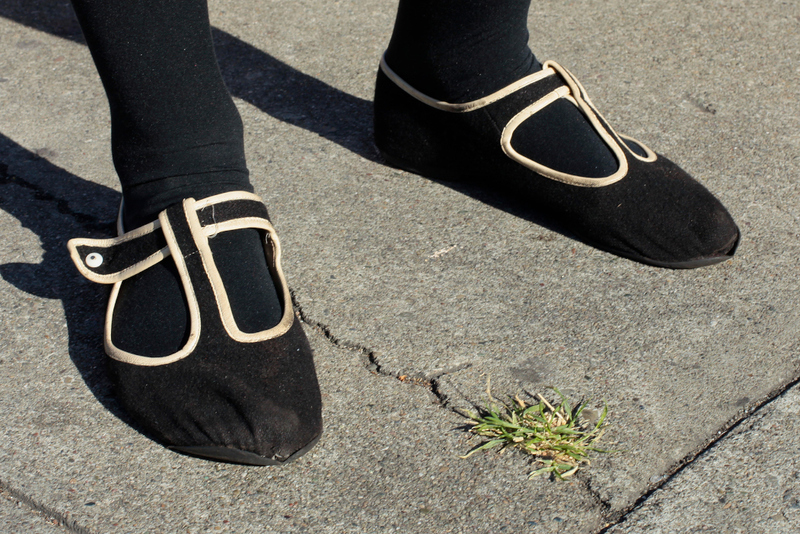 A look at her t-strap Mary Janes. A 100 year-old cameo and a week- old sweater. Pretty awesome. She has a great look that doesn't scream for attention. Understated is underrated.